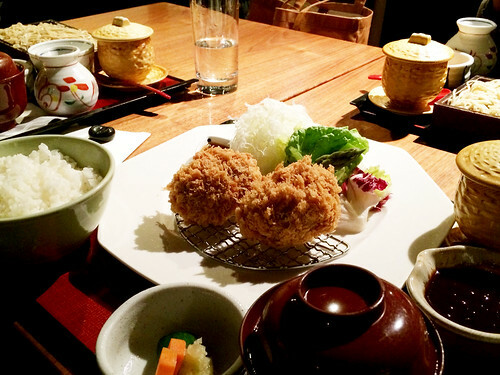 In brief: M. ventured out into korokke (croquettes) land today at Ootoya. More usually korokkes found in Japanese restaurants here are of the cream version but M. noticed a potato version at Ootoya last week and could not resist. Aside from the addition of cheese, she reports that it was ok and probably she would order it again one day.